Log into the WHMCS admin dashboard. Go to Setup -> Products/Services and click on Servers. From the server page, click on Add New Server link. 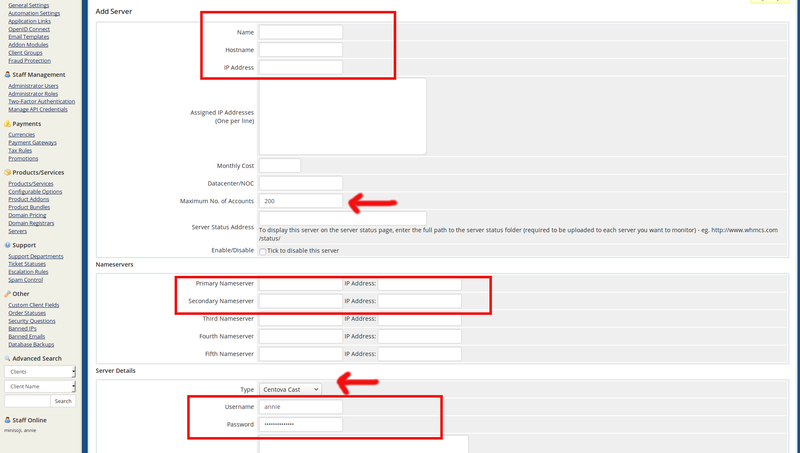 Type your server IP and Hostname fields and add the servers name server information. Under Server Details select the server Type , choose from the drop-down boxand enter the login information. Here I’m using Plesk Server so i selected as Plesk. Once completed, click the Save Changes button and test your server connection status.